Secure the obligations of a corporate tenant ⁄ lessee under a commercial lease in the State of Hawaii with this unconditional and continuing Guaranty of Commercial Lease. The guaranty is given by a principal of the company, such as a shareholder, partner, sole proprietor or some other person with a financial interest in the tenant. A guarantee of this type is typically required as an inducement to the lessor ⁄ landlord to sign the lease. 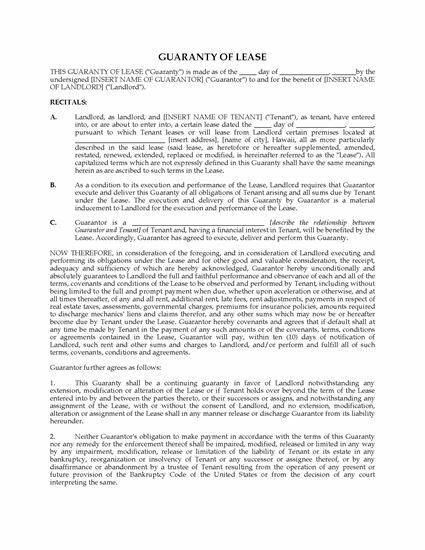 The guarantor guarantees payment of all rent and other amounts due under the lease, including the payment of legal fees incurred by the landlord in enforcing the terms of the lease. 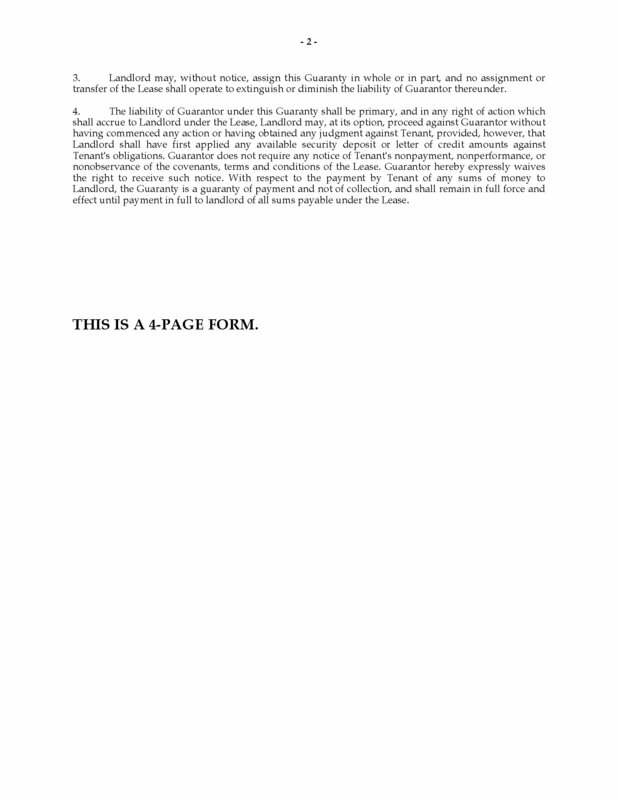 This Hawaii Guaranty of Commercial Lease template is provided in MS Word format, and is fully editable to meet your exact needs.